Ethiopia has always held me in thrall. It is a cradle of prehistoric humankind. It embraced Christianity long before the missionaries arrived. Its people carved subterranean churches out of solid rock and built mysterious towers of stone. The countrys mythology included serving as keepers of the Ark of the Covenant (the legendary chest containing the Ten Commandments) and the biblical story of King Solomon and the Queen of Sheba. And in the modern era it was the only African nation to repel a European colonial invasion (by Italy in 1896). I was born and raised in Africa but had never visited Ethiopia. The chance came last fall when my wife Eva and I were in Israel, a mere 4 1/2 -hours by air from Addis Ababa. 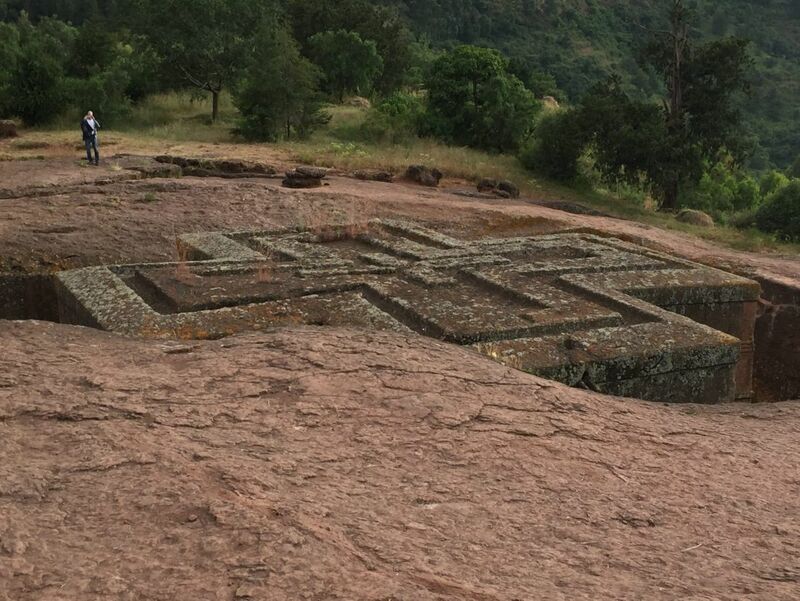 Ethiopian Airlines flew us, arranged all-inclusive tours, and for six days, by plane or car, we toured the north of the country from the source of the Blue Nile to the stone obelisks of the vanished empire of Axum. After our first night in Addis Ababa, the huge and crowded capital, we flew to Bahir Dar, a pleasant town on the shore of Lake Tana, and were driven south to see the Blue Nile, a tributary of the Nile River. It had rained overnight, and the trip was a slow and slithery affair on an unpaved road. Then we hiked for about a mile through bright green fields, across a wobbly wooden footbridge, and through patches of shoe-swallowing mud. We encountered women herding cattle and a man working his small plot with a plow harnessed to a bull. 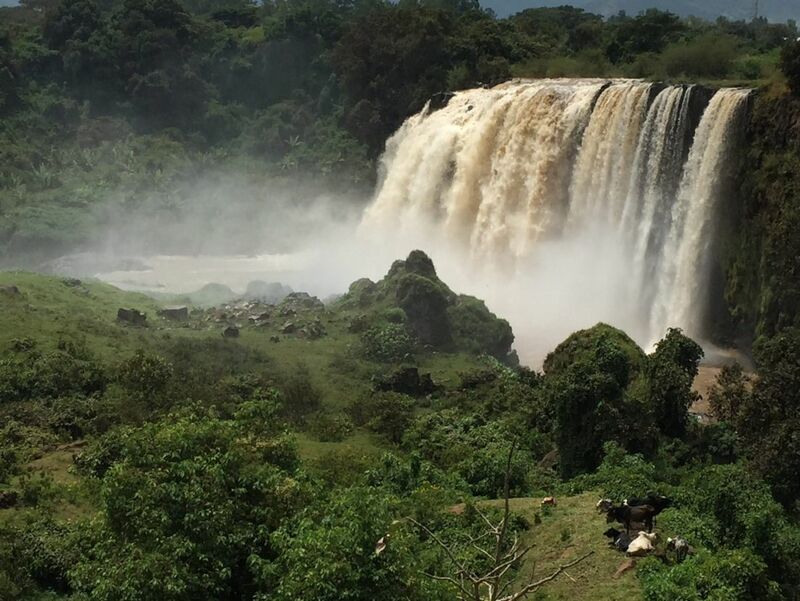 Then the sun shone and we were looking at a wall of white water thundering over a cliff: the Blue Nile at its first great cataract on a journey to Khartoum in neighboring Sudan to merge into the White Nile and continue north to the Mediterranean. Back in Bahir Dar, we traveled by boat across Lake Tana, one of the largest lakes in Africa. Its islands are dotted with monasteries and churches, one of them a circular chapel with a richly thatched roof. The ecclesiastical art on the inner walls was exuberantly colorful, but my own favorite touch was a boulder suspended from a tree branch which, when struck, sounded like a gong, summoning the faithful to prayer. 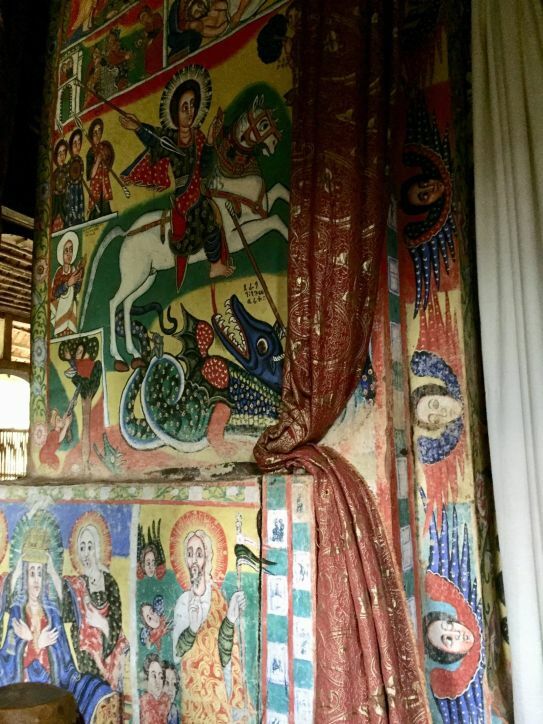 Next morning, after waking to a sunrise that streaked Lake Tana in gold, we set out on a three-hour drive north to Gondar, a past capital of Ethiopia whose highlight is a royal compound of 17th and 18th century palaces and castles. 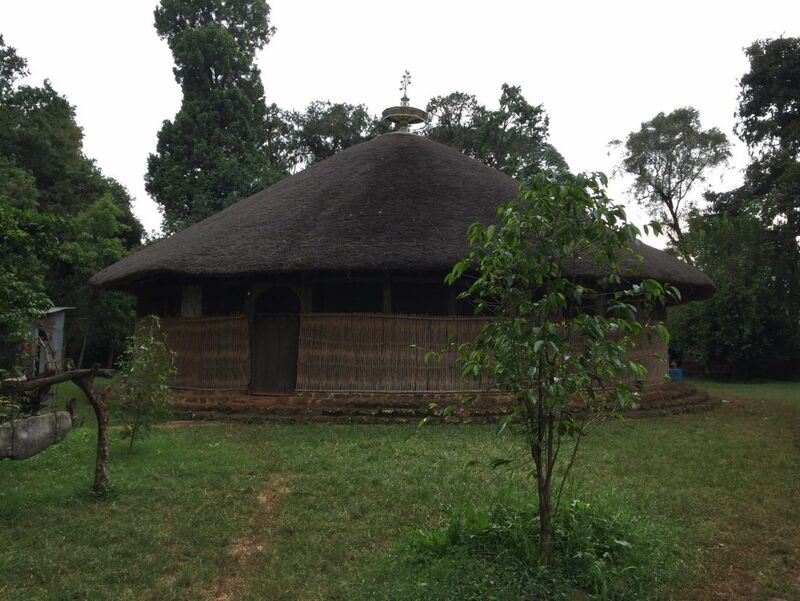 Gondar was also once home to Ethiopias Jewish minority until they emigrated en masse to Israel in the 1980s and 1990s. We did, however, bump into a high-spirited party of Ethiopian-Israeli teenagers on a visit to the place their families had come from. 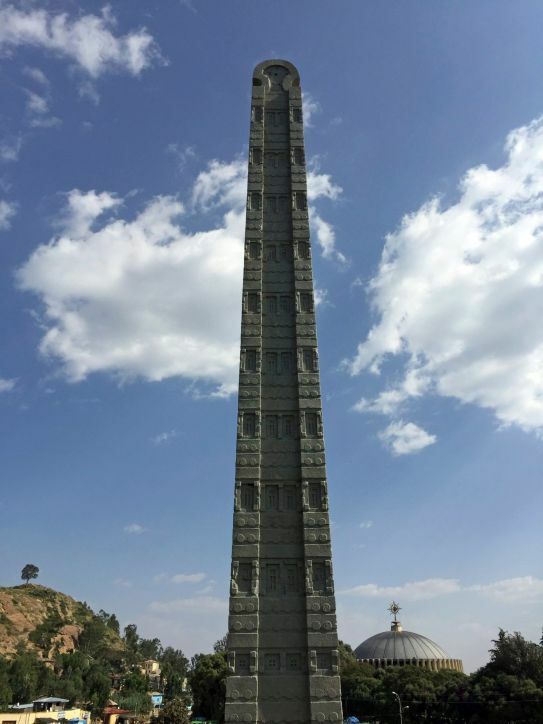 Next stop, the mysterious kingdom of Axum (or Aksum) in northern Ethiopia. Its a junction of early Christian, Muslim and Jewish civilization in the Horn of Africa. 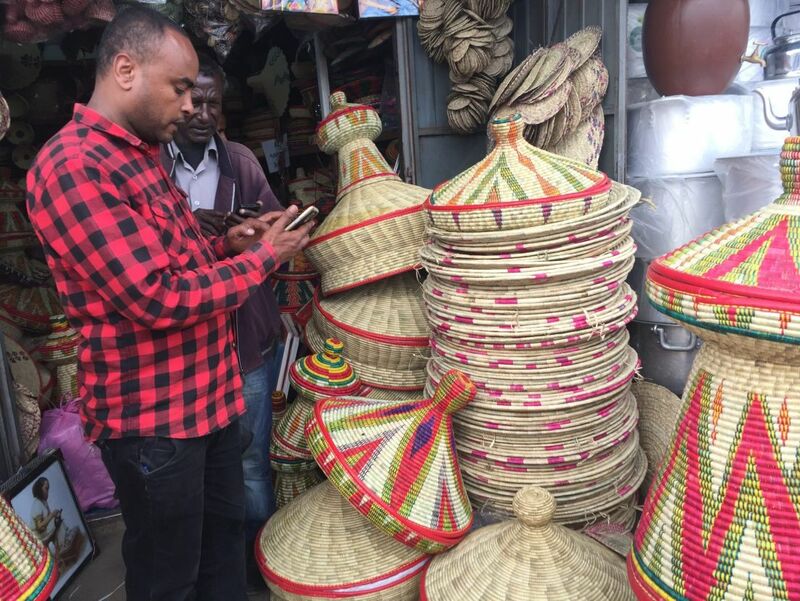 Although the Axumite empire lasted hundreds of years, little is known about it. But it was clearly advanced for its time, judging by its most visible highlight, the obelisks. These so-called stelae, some roughly 10 stories high with intricately carved stone, are thought to have demarcated royal burial places. The largest weighed 520 tons and still lies where it collapsed. Others survive upright. 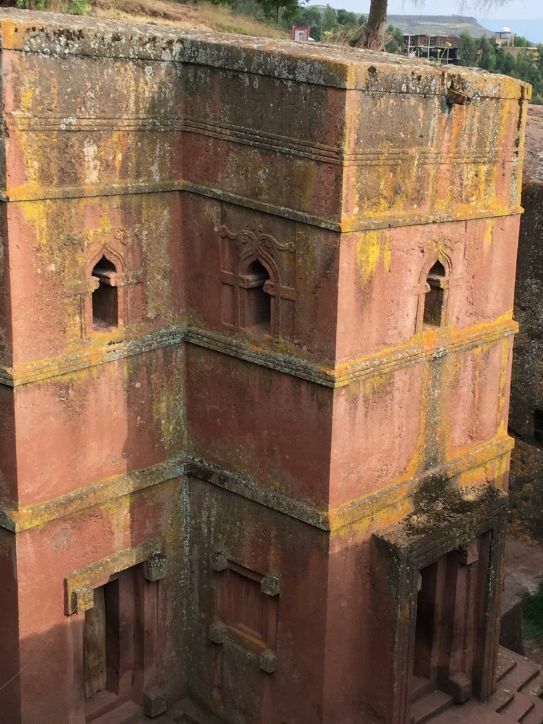 Another flight took us to Lalibela and its 12th-century churches — my other reason for wanting to visit Ethiopia. They are magical, baffling, awesome. Defying all conventional rules of architecture, they were carved out of soft volcanic rock, and are seen by looking down into the light-filled crevices that surround them. The churches are decorated with religious art and other ornamentation. Attesting to the religious mix that makes Ethiopia so interesting, we spotted a Christian cross inside a Jewish Star of David. Ethiopia endeared itself to us in many ways: its impossibly complicated calendar; the complete absence of smokers (we were told the Church discourages the habit but Ethiopia has also begun banning smoking in public places); the Ethiopian currency, called birr (rhymes with grrr); our driver fighting through traffic not by leaning on his horn but by tapping it gently, almost apologetically; the exquisite little sauce dish we bought, only to see it melt back into mud under our all-vanquishing detergent. We came across multitudes of people walking on roadsides in rural areas, often too poor to afford public transport. On the dusty unpaved road from Lalibela, at an elevation of 8,000 feet (2,440 meters), we saw crowds of children marching home from school. Our guide mentioned Haile Gebrselassie, the great Olympic long-distance runner, who walked and ran 12 miles (19 km) a day to and from school (not at all uncommon, so great is the hunger for education). And traipsing uphill came a family in weathered robes and sashes, belongings lashed to a donkey, straight out of the Old Testament. Finally, to get a sense of proportion after all the antiquity we had encountered, we stopped at the National Museum of Ethiopia in Addis Ababa to see Lucy, whose bones were discovered in northern Ethiopia in 1974. At 3.2 million years, shes the most famous human ancestor.